Moorehall LodgeHailing from Sligo, Carol is proud mother to three children and trained as a RGN in Our Lady of Lourdes Hospital Drogheda. After initially working in Dublin, she moved to Ardee taking nine years away from practice to raise her young family. Never one to stand still, Carol also started a business with her husband Jim. Joining the Moorehall Lodge Ardee team in 1998, her career flourished and she is committed to providing care which always places the person at the centre. In her role as Director of Care she continuously and perfectly balances the demands of compliance, professional and cultural priorities on a daily basis. A committed nurse and leader Carol is the heart and soul of Moorehall Lodge Ardee and its unique model of care. 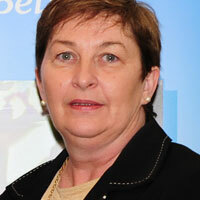 Maura took over the management of her family business, St.Gobnaits Nursing Home, from her mother in December 2010. St.Gobnaits is a small country home providing care to 20 residents which celebrates its 30th anniversary this year. Having qualified as an R.N.I.D from St.Vincents Centre, Lisnagry, in 1990, Maura went on to work for the Sisters of the Bon Sauveur in Dungarvan. Following this she moved closer to home when she took up a post as Staff Nurse with St. Joseph’s Foundation, Charleville, in 1997 before being appointed Community C.N.S for adults with physical and intellectual disabilities. Maura is passionate about the importance of nurturing a person’s psychological wellbeing to enhance their quality of life and she feels that her training as an Intellectual Disability Nurse has been invaluable in this regard. Rizalyn Silacan is a DON at Ferndene Nursing Home. 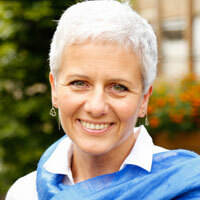 Her experience in leadership and management in the care of the older person spans more than 13 years. Rizalyn obtained her BSN degree from IMCC, Philippines. She subsequently took Diploma in Dementia, SPA in Gerontology and Certificate in Leadership & Management. 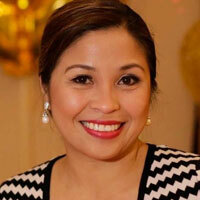 Rizalyn is a recipient of “Nurse Excellence Award” given by Philippine Nurses Association Ireland. Rizalyn is passionate about elevating the strengths and abilities of each resident and staff of FNH and promotes the“Whole Home Approach” to provide quality of life through balance between high standard of clinical and social care. 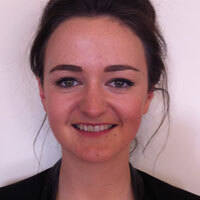 Eimear joined the team in TLC as a newly qualified RNID. She has absolutely excelled and demonstrated the true values of person centred care. Her interpersonal skills with residents are incredible and she has an exceptional skill at communicating with those who have a cognitive impairment or dementia. She brings warmth, kindness and compassion to each of the residents she cares for. 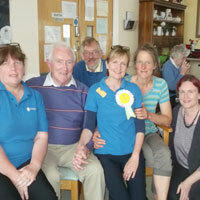 Eimear promotes a culture of patience and time for each resident. She can be observed daily guiding care staff to spend time with residents regardless of other pressures, and will take on additional work to allow others to have that protected time to truly “be” with residents. Originally from Bellaghy in Derry, Jackie is proud mother to three children and lives in Knockbridge Co Louth. 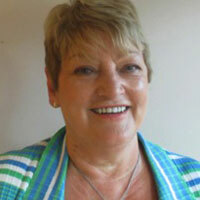 Jackie trained as an RGN in Belfast City Hospital and moved to London to broaden her experience and develop her career. 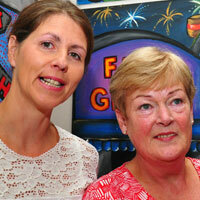 On her return she specialised in the care of the older person and joined the Moorehall Lodge Ardee team in 2009. In her role as Joint Team Leader, Jackie has led the development of the specialist dementia care in Suaimhneas Household, which was the first accredited Butterfly Demetia Care facility in Ireland. Committed and dedicated, Jackie is respected and loved by all she works and cares for. 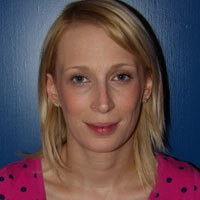 Laura started working in Maypark House as a Staff Nurse in 2009. Having worked as a staff nurse on both day and night duty she has now progressed to become one of our Senior Nurse Managers. Laura believes that all care provided to our residents should be of the highest standard and above all person centered. Not alone does she work one on one with residents, but she is also very mindful of the fact that their families must also be involved in their care. 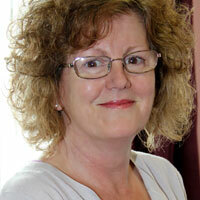 Her further education includes FETAC Level 6 in Gerontology, Supervisory Management Skills & Health & Safety Management. Most recently, Laura successfully completed the “European Certificate in Essential Palliative Care” with Princess Alice Hospital which led her to work on implementing an End of Life Care document. This was commended by the SAGE advocacy service and is now a working document within Maypark House. Marta worked at The Institute of Psychiatry and Neurology in Poland , as a psychiatric nurse. In 2004 her mother was diagnosed with Alzheimers. During the years of taking care of her she delved deeply into the core question of what makes a person, how dementia affects the makeup of the individual and what can be learned from this. For years she was using art as a way of communication and therapeutic intervention for both herself and her mother which now she introduces to her work as a care assistant . She recently completed a Diploma in Art Therapy course in Marino College, Dublin . In her work she is determined to de-emphasize the give in care giving and instead stress the extent to which is a reciprocal partnership. Veronica has been a team member at TLC Maynooth for over 6 years and is a Senior Healthcare Assistant leading a team of HCA’s. Veronica demonstrates person centred care by ensuring all residents are known in detail, promoting their personal choice and being pro-active in maintaining resident’s dignity and individuality. Her dedication and commitment to resident’s holistic needs are paramount in her delivery of care. Veronica volunteers and promotes social activities accompanying residents on outings and spearheaded a campaign to promote positive self-image amongst residents by setting up pampering kits. Families often remark on her in-depth knowledge of their loved one and her focus on the finer details of their care. Lynn lives in Ballyconnell, Co. Cavan. She comes from a close knit family. Her Esker Lodge journey began in 2005. 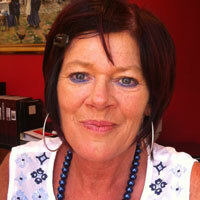 Since then Lynn has been promoted twice and has become the company’s manual handling trainer. Lynn’s passion underpins her philosophy that “our residents do not live in our workplace, we work in their home”. She works closely with the care team to ensure residents flourish. 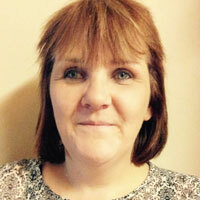 Lynn has seen many changes in her 10 years as a care assistant and advocate for residents. She loves getting to know the residents & families and enjoys sharing life experiences along the way. Maria holds a BA(hons) in Fine art, FETAC level 5 in Social studies, Working creatively with the older person, PALs fitness for older people and is currently studying Leadership. She works as an activity coordinator in St Elizabeth’s Nursing Home in Athboy. Maria welcomes the challenge of meaningful engagement and fun for all residents regardless of ability, and believes that the cheerful and dedicated input of all staff in St Elizabeth’s is instrumental in the activity programme’s success. Maria is also a founder member of MariasPlace.com, a website aimed at ‘Caring for Carers’, providing education, inspiration and creativity for carers in the home and professionally. 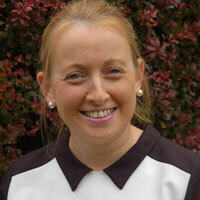 Ann Crowley joined the team at St Luke’s Home in February 2000. After completing FETAC Level 5 & 6 Courses in Active Chair Therapy (ACT) and Advocacy between 2008 and 2010 Ann was convinced that meaningful occupation and activities for Residents was the cornerstone of Person Centred Care and this became her future direction. 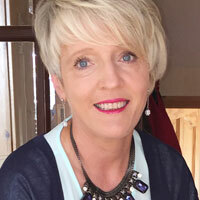 Ann successfully trained as an Advocate for Older People through the HSE / National College of Ireland Programme and subsequently, in 2011, obtained her Diploma in Gerontology, topping the Class in her year. She officially became Activities Coordinator for St Luke’s Home in May 2012. Clarenbridge Nursing Home is one of five nursing homes in the Windmill group and is committed to an inclusive Social and Recreational Programme. This is done by tailoring programmes to the respective interests (past and present), cultures and values of all the residents. The core team responsible for developing and running this intergenerational programme is made up of a skilled activities coordinator, two occupational therapists and two activities assistants. However one of the unique factors which makes this a truly person centred and holistic programme is the involvement of all the staff in the nursing home. The philosophy is to have a biopsychosocial model of care whereby all the staff contribute to the resident’s life in the home. Community integration is an integral focus of the programme. Residents are involved in the Octopus Swimming Club in Kilcornan; the Active in Age group in Oranmore and extensive social outreach with the Irish Wheelchair Association. Productive and vocational opportunities in the programme include the resident’s community based pop up clothes shop, stall at the local market and the organic poly tunnel. An evolving range of activities, groups and outings are facilitated to ensure choice and variety for the residents such as: IT interaction, SONAS, boccia, Ceili Music and lots more. The goal of this truly team driven programme is to facilitate active aging, positive engagement and living life to the full. Laurentia leads the team in Knightsbridge Care Home. 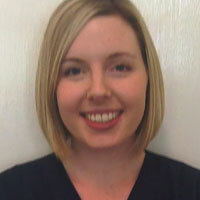 Laurentia originally trained in Cathal Brugha Street and has worked in major cities, London, Sydney and Dublin. Laurentia has also gained worldwide experience as a chef as she took on the challenge of riding a motorbike from Sydney to Dublin. The ethos of our catering team is that the resident is central in the development of all aspects of dining. All residents are treated as individuals with individual meal plans where needed. The catering team have developed the nutritional task force which is aimed at reducing the number of residents at risk and treating residents who are at risk. Year on year audits have proved this to be a success. In 2014 alone the team reduced the number of people at risk by half. 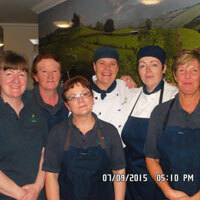 The catering team takes an individual approach and personally meets all of the residents on a regular basis. They also ensure the dining experience is suitable for all residents, be they young or old. Different meal plans are available. This is evidenced through our good wholesome homemade food, restaurant style service and a coffee shop to meet both nutritional and social needs of all of our residents. The team works tirelessly as they encompass the whole resident dietary requirements. Pascal qualified in Hotel Management in Belgium and consolidated all he had learnt by working for four years as Executive Chef for the Radisson Group. Believing passionately in person-centred care versus problem-centred care, Pascal focuses on the abilities and strengths of the residents gathering information through his customised client profile. He works with the multidisciplinary team to identify if any aids and equipment are required and also utilizes the required monitoring results such as daily weights and food diaries. To promote nutrition Pascal advocates to all staff that “we eat with our eyes” therefore the presentation and flavour of different food textures is of the most importance. Catering Supervisor Marie’s first appointment was in the Shamrock Lodge Hotel at eighteen where she officially earned her cooking stripes. While working, Marie successfully pursued a degree in Culinary Arts with AIT. Her next job was head chef in Shine Bar & Restaurant for five years. In 2007 Marie started working in Sonas, Athlone adapting the skills she gleaned during her career to develop and present special dietary and modified meals. Training in Infection Control, Nutrition, Dysphagia, Dementia Care and Recognising Elder Abuse. She immersed herself in learning everything about the much-maligned and heavily regulated nursing and catering sector and got to know all the residents individual preference and requirements. 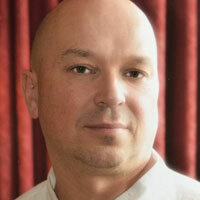 Fergal started working in Knightsbridge on our opening day eight years ago. Fergal started as a carer and it was plain to be seen that his hospitality would work really well in our coffee shop. Fergal has years’ experience working in the hospitality sector and in his spare time has visited outreach in Moldova, working as a volunteer with orphaned children. He also managed under aged hurling teams. Fergal helped set up a golf society in memory of his friend who passed away. Fergal gets involved in all aspects of Knightsbridge including being the heart and soul of the coffee shop and indeed our community. Fergal will dress up as anything from Tina Turner to Santa Claus to entertain the residents and put a smile on their faces. 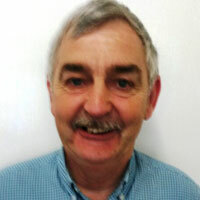 Fergal is capable of knowing all residents personally including their life histories so far. Eg. When he goes to Knock he would bring back holy water for the residents. When at the races he places bets and brings back programmes from hurling/football matches. Fergal’s mantra is “little things can make a big difference” and this is why he is such a success in Knightsbridge. Mary B originates from Cooraclare, Co. Clare. From her school days to her administrator role, Mary B has been highly regarded for good humour efficiency and her vibrant energy. Mary B is a fine respecter of persons, very approachable and takes time to listen to the needs of the residents, families, and colleagues. The resident’s experiences in the nursing home are always at the forefront of Mary B thoughts. From the weather to current affairs her ability to focus on their wellbeing and improving their quality of life is a credit to her and her loving nature. 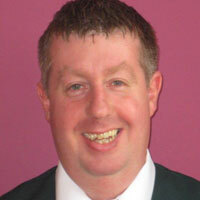 Ollie Stapleton has worked in Maypark House for the last 15 years and is in charge of maintaining the Nursing Home. Ollie’s caring side shows not only in his every day working life but he is also is very active in his local community. He volunteers with Waterford Marine Search & Rescue and regularly participates in cleaning the Tramore Beach. He is currently involved in the Friends of St Johns River Community Project rejuvenating the river bank and its surrounds to return the area into a community amenity. Ollie’s inventive side means he can turn his hand to more than just the everyday tasks by creating unique & useful items which both benefits & enhances the lives of the Residents of Maypark House. Health and Safety is an integral part of Ollie’s work and he has successfully completed his FETAC Level 6 Health and Safety Management. Originally from Ardee, Michelle trained as an RGN in the UK and returned to Ireland in 1993. She is now proud mother to three girls and one boy. 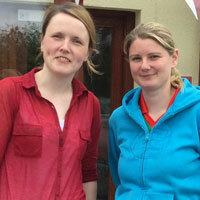 Michelle was the first nurse to work in Moorehall Lodge Ardee, while on a career break from the HSE. She then left the HSE in 2010 to work full-time with Moorehall Lodge Ardee where she is now Joint team Leader in Setanta Household. Michelle and her team specialise in Dementia Care using the Butterfly approach with community initiatives at the heart of these developments. 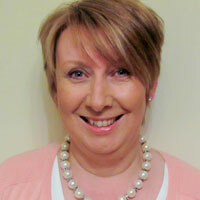 Breege is originally from Ardee and is proud mother to three children. 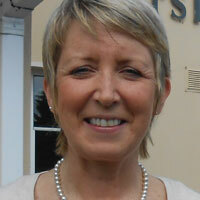 Breege started out her career at Moorehall Lodge Ardee as a carer in March 1999. In recent years she has developed the role of Retirement Village Coordinator and has made extensive connections between the nursing home, retirement village and the broader community. An active participant of various outdoor pursuits and a volunteer with Ardee Hospice, Breege is committed to connecting people whereever they may live. 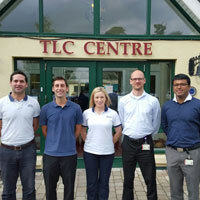 The physiotherapy department in TLC group consists of four physiotherapists, Shane, Rafal, Manesh and Sharon (previously Aishling) all of whom have gained a lot of experience during their careers working with the older person. The Physiotherapy team came together in September 2014 for world physiotherapy awareness day organising a week of events across all four centres placing a huge emphasis on incorporating each of the centres local community including Maynooth, Citywest, Santry and Ballymun. 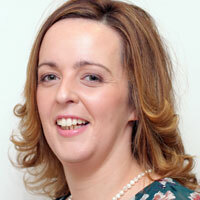 Katie Ui Chulain, a native Irish speaker from Inverin, Connemara, has been the activities co-ordinator at Áras Chois Fharraige, since 2010. Katie has always had a keen interest in promoting local community initiatives and previously worked for Údaras and as a community officer in Spiddal. Katie has a natural affinity with the elderly, has a kind and gentle approach with all residents and has excelled in delivering exciting programmes, reaching out to the community and involving inward talents and expertise … páirteach i gCairde Áras Chois Fharraige! In developing initiatives such as the ‘Gradam’ award for Irish speaking student nurses, she has formed bonds between the nursing home and the Spiddal local community. 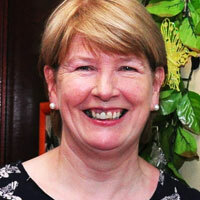 Shirley Larkin, a GMIT alumna, brings a wealth of experience to working with older people. With over 25 years of experience, her rich and varied professional career has included staff management, administrative, and nursing positions. Shirley started her career working in her family’s nursing home Manor Court in Castlerea, Co Roscommon and feels blessed to provide care for older adults with varied acute and chronic conditions. A native of Roscommon she is following her lifelong calling as a professional nurse and Director of Care in Sonas, Cloverhill. She loves nursing but found true satisfaction when she implemented the Household Model of Care, improving the quality of life for all residents especially those with dementia. Our team is made up of Nurses, healthcare assistants, activity staff, management and volunteers who respond to the social care needs of residents. Coordinated by the activity carers Theresa Horgan and Eileen Kennealy, the team is an integral part of the care team in Oaklodge. Everyone tries to anticipate what residents would like through careful listening to their stories and no request is ever a problem Projects undertaken include, art, poetry, letter writing, vintage cars, knit and natter, fundraising and of course the Oaklodge Choir. The Viva Life team consists of four physiotherapists and the dementia co-ordinator. All members of the team have a lot of valuable experience working with people with dementia. The team recognised a need to develop a programme away from traditional approaches in nursing homes to improve the quality of life of its residents with dementia focussing on a combination of cognitive, physical and social aspects. From that, the Viva Life programme was created and has since been implemented successfully across all four TLC centres. Sinead qualified as a registered general Nurse in 1995 from St. Vincent’s Hospital, Dublin and was one of a select few re-employed by St. Vincent’s to work in the Oncology Unit where she spent four years. Upon completing a Diploma in Management Studies Sinead’s took up her first Director of Nursing role in Montenotti Care Center Cork moving then to become Director of Nursing with Silverstream Healthcare in Dublin. Sinead joined Annabeg Nursing Home in 2006 as Director of Nursing and has been instrumental in creating a centre of excellence at Annabeg and placing person centred care at the core of the home’s approach. Eileen started her nursing career in 1981 at St. James hospital as a Staff Nurse and was assigned to the units providing (Care of Older Person: Extended Care, Respite Care) and found her true devotion but it didn’t end there this was only the start for Eileen who went on to acquire many more qualifications within the health care sector including becoming a Lecturer in Nursing at DCU and acquiring a PHD in 2011. Eileen is an inspiration to all her colleagues and the residents and family’s within Hamilton Park Eileen’s inspiration knows no boundaries. 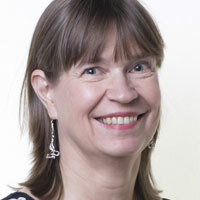 Eileen’s Research Interests are within Palliative and End of Life Care, Informal Care Community Nursing and she has also been a speaker at many Conferences in relation to her research interests it’s a complete honor to have Eileen as our Assistant Director of nursing. Henry was born in Cork in 1930. 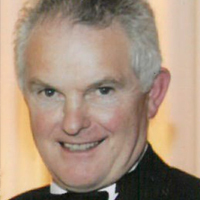 He attended Greenmount National School and went on to Cork Vocational School. Following this he trained as a mechanic in the Lee Garage in Cork and completed his City and Guilds exams. Henry then opened his own successful business called Pouladuff Motors in 1970. He always loved gardening and was also a great road bowler. In 1954 he married his wife Sheila who passed away in 2003 leaving Henry heartbroken as they were never apart. They had six children, one of whom sadly passed away in 2010. Henry has twelve grandchildren and four great grandchildren with the fifth on the way. Henry moved to The Powdermill Nursing Home in August 2013, which was a very difficult transition and it took him a while to adapt and settle. However, with encouragement from staff and Pam one of our activities co-ordinators, his passion for gardening was reignited and this venture has blossomed and spread to many other residents in the Home. Henry’s focus has changed completely from his previous life at home to his new life within the Powdermill environment. He has been an inspiration to us all. 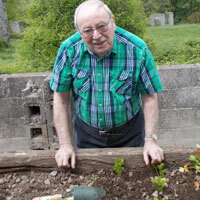 Pat Durcan was proprietor of Dalkey Lodge Nursing Home in south Dublin for 25 years. Throughout that time Pat has been involved and a leader of the representative organisations that preceded NHI. Pat served on the Board of NHI as Regional Director representing Dublin Wicklow for 4 years contributing greatly also as an active regional member. Pat was generous with his time and advice to the organisation and also to individual members over many years. His outstanding contribution to NHI and his enlightened leadership of the sector over many years was particularly evident during the introduction of the new regulatory regime. Pat devoted himself to his nursing home and the sector at large. Pat is married to Gillian for the past 33 years and they have one daughter, Avril.